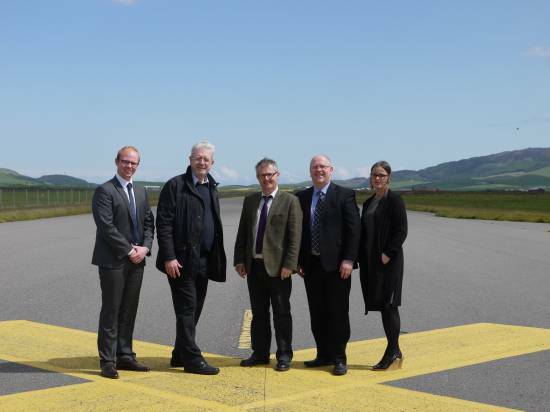 MACC Chairman, Tom Millar and Business Manager, Malcolm McMillan gave him a full briefing on the bid and put forward a strong case as to why Machrihanish Airbase is the leading candidate on the shortlist, which was narrowed down to six locations earlier this year. Mr O’Hara will now take our case to the UK Parliament and will seek to find out out from the Department for Transport when we can expect a decision on the chosen location. Norwegian fish farming firm, Niri are one of the latest tenants to come on site and onshore production of salmon is set to start later this year.